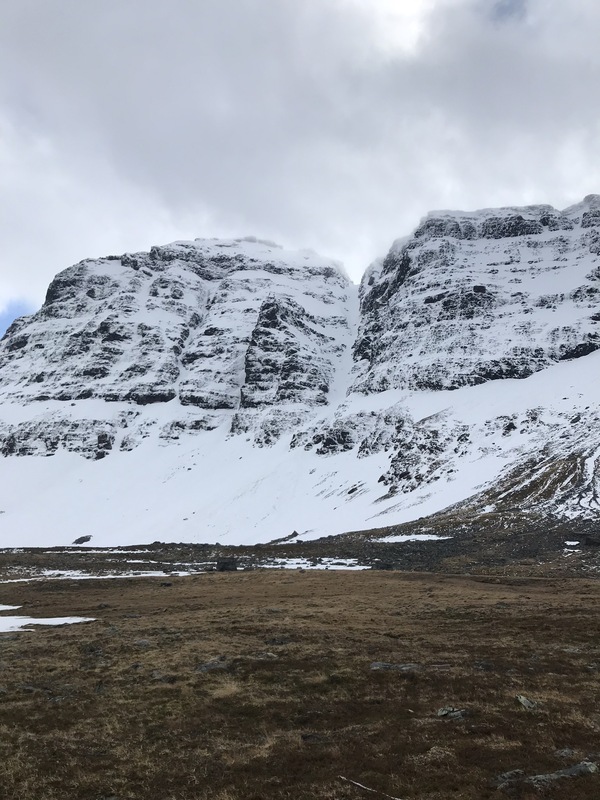 Snow is gone and out comes the rocks…. We have found quite a few boulders that we are cleaning just a walking distance from our house. The quality is fine, and there is both easy and hard (and high) problems. We will post updates here with photos, and please come by if you want any tips! 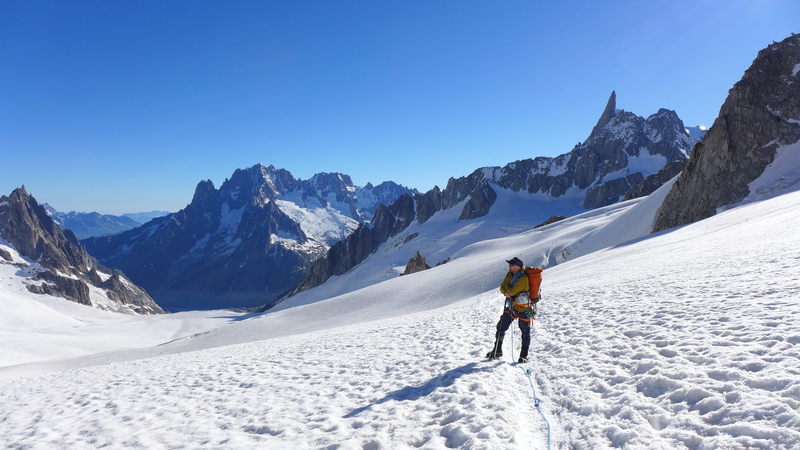 We don’t claim any “first ascents” as we know the old boys have been scrambling around most of it, back in the days. Second bridge over Signaldalselva to Fosseveien, green star marks Høgsteinen and purple Elvesteinen. Parking between the two or just up the hill. Sitstart in the overhang on crimps, 5 or easy 6a: Linies hjørne. Very nice! Tore climbs a very nice 6a on Elvesteina, Luft i magen, sitstart. Just left of this problem there is an easy sitstart Kristall. Minijam, easy problem on a small boulder next to Elvesteina. Beastmaker, 6a+ sitstart on Elvesteina, Minijam is just to the right. 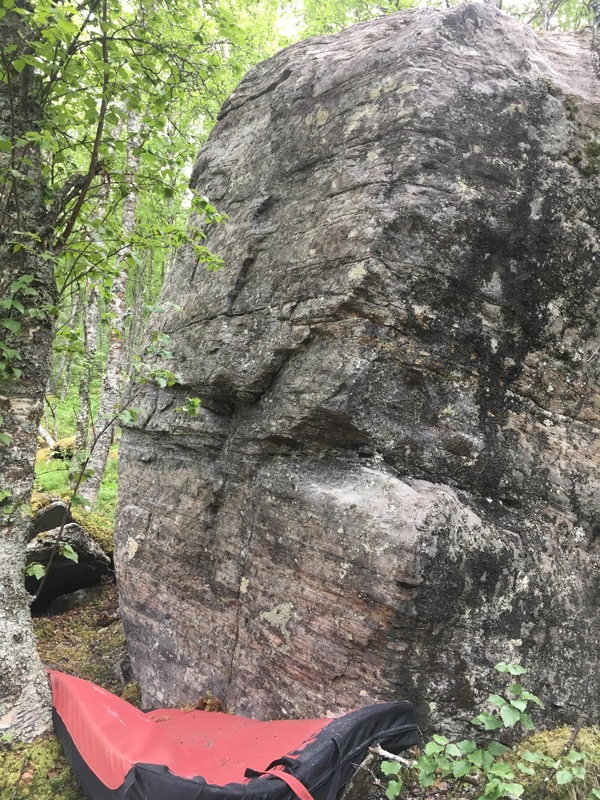 Elvesteina 2, a beautiful boulder, with so far one very nice problem, Findus 6a+ sitstart on the jug under the dihedral. Also working on Elvesteina…. Løiten wonders why we are so frustrated… In the background you can see both Findus and Beastmaker. Jørgen climbs a nice problem up to the middle jug. Standing 6a, sit 6a+, on Høgsteinen. Solveig tries a project on Elvesteinene, standing one move wonder…. Elvesteinen also holds a Luft i magen, 6a on the other corner…. And many other projects and fun traverses. “The slab” many easy variants, on the other side of Fossehjørnet. “Høgsteinen” main rocks close to the road. 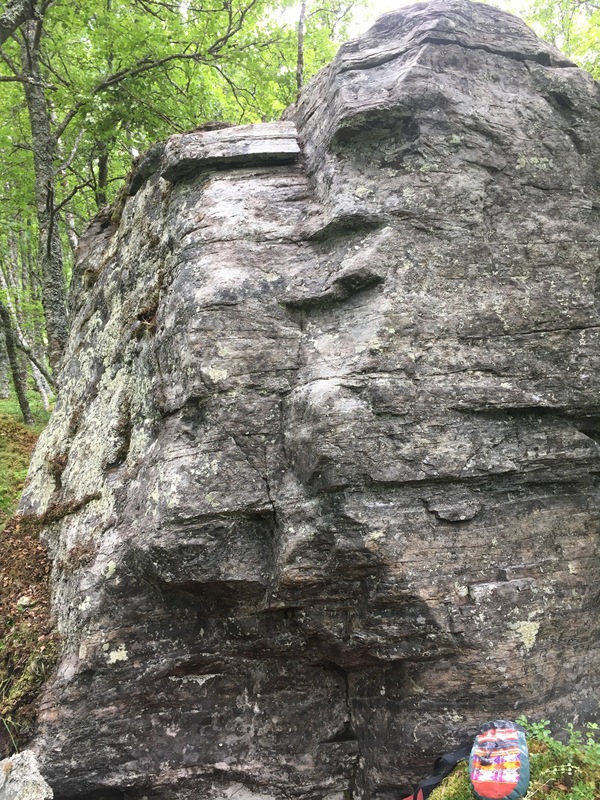 The dihedral is graded as 4 although it is quite high, the overhanging fistcrack on the left is 5. On the right of the dihedral there is a sitstart 6a+ and standing start 6a, finishing at the big jug half way up. “Solsidan” on the backside of “Høgsteinen”. Follows the edge in the middle of the wall and tops out straight up 6a, supernice problem! NB! The loose rock on the left at the start is not part of the problem.